In case you missed some of the biggest news in Hollywood today, the cast of the Ghostbusters remake was tentatively announced and, seriously, it could not be better. 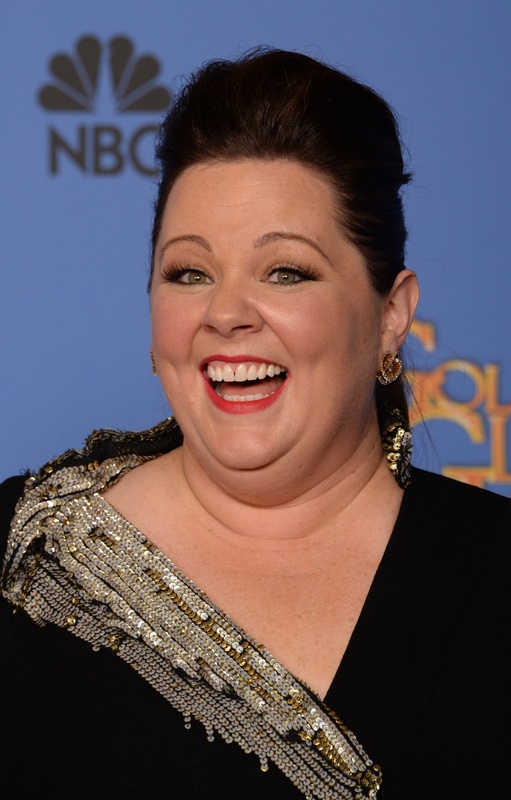 Melissa McCarthy is reportedly in negotiations to be apart of the Paul Feig film, along with McCarthy's former Bridesmaids co-star Kristen Wiig and current SNL cast members Leslie Jones and Kate McKinnon. So, if there were any worries about this being an incredible movie to begin with, this cast list should wipe those doubts away ASAP. Though it's hard to even understand why anyone doubted this film in the first place, apparently, they did. In an interview that director Paul Feig gave with Empire Magazine , he said, "A lot of people accused it of being a gimmick. I guess I can see the cynics’ view of it, but for me, I just love working with funny women. People said, ‘Why don’t you do a mix?’" Despite the complete insanity of the "gimmick" concept, I am shocked to hear that people have qualms to an all-female Ghostbusters film. With the level of quality female comedic actors have consistently brought to Hollywood, there's no better time than now to celebrate those women in what they do best... make us laugh. McCarthy, with all of the comedy movies she's appeared in as of late, has proved herself in not only her comedic timing, but also her physical comedy. The Bridesmaids star has also worked with Paul Feig in the upcoming comedy Spy, where McCarthy portrays a deep undercover CIA agent tasked with saving the world. Kristen Wiig is no stranger to comedy. After a hugely successful run on Saturday Night Live, Wiig (and McCarthy) caused audiences to become addicted to the 2011 film Bridesmaids, in addition to film like Girl Most Likely and Anchorman 2. Wiig has played many roles in comedic films and sketches, but her history has ranged from the straight role — who, in comedy, allows other's more comedic characters to play off of her more serious demeanor — and the comedic star. She's versatile. Leslie Jones, who has been in the industry since the late '80s, has become a standout on Saturday Night Live recently with her amazing stand-up and sketches. With a recent appearance in Chris Rock's Top Five, Jones' presence in comedic films is only going up. Kate McKinnon's appearance in the film is the cherry on top of this very funny sundae. Much like Wiig, McKinnon has won over so many people on SNL with her impressions since 2012. Most recently, McKinnon did a spot on impression of Justin Bieber's "My Calvins" campaign...which, I confess, actually made me like Justin Bieber for a millisecond. So, if you had any worries about the new Ghostbusters film, may this casting news hush those worries for good. Because with these four women, it really doesn't get any better.